The DWS-4026 is D-Link’s next generation Unified Wired/Wireless Gigabit Switch with an array of advanced features and 802.11n support. With the ability to manage up to 64 Unified Wireless Access Points by itself and up to 256 in a Peer Group, the DWS-4026 is a full-featured and cost-effective mobility solution for mid-to large enterprises and service providers. Extremely versatile and flexible, the DWS-4026 can be deployed as a Wireless Controller in the core network or as a L2+ PoE Gigabit Switch at the edge depending on the requirement. By centralizing WLAN configuration and management functions, DWS-4026 enables network administrators to have control, security, redundancy, and reliability needed to scale and manage their wireless networks easily and efficiently. Most of the current Wireless LAN controllers’ architecture requires wireless traffic to return to the controller for centralized processing, causing unnecessary traffic delay. The DWS-4026 offers network administrators additional options: depending on the wireless application, wireless traffic can either be tunneled back to the switch for better security control, or locally forwarded at the Access Point for optimal performance. The DWS-4026 offers a state-of-the-art Wireless Intrusion Detection System (WIDS), which help network administrators to detect rogue Access Points and rogue clients as well as anticipate wireless threats, to prevent them from causing damage to the network. With WIDS, administrators can activate various threat detections and use RF scans to sweep the entire wireless network for a possible security breach in advance. Other wireless security features include WPA/WPA2 Enterprise, 802.11i, Captive Portal and MAC Authentication. 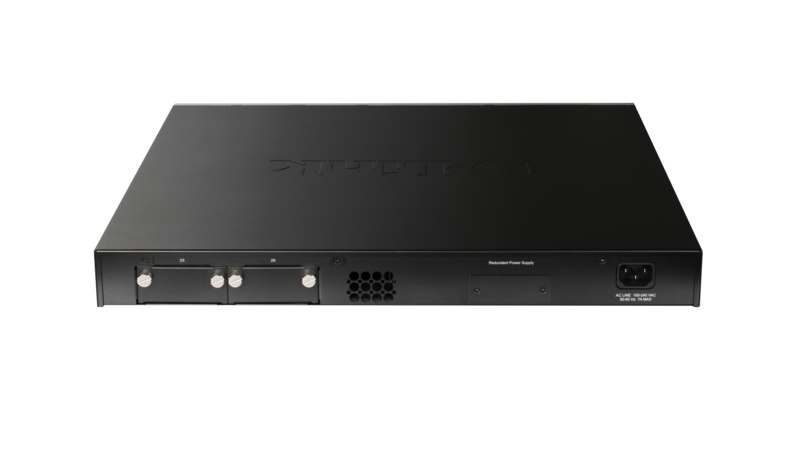 The DWS-4026 is specifically designed and optimized for Voice over Wireless traffic with features such as Auto-VoIP and Voice VLAN. The Auto-VoIP feature explicitly matches VoIP streams and provides them with a better class-of-service than ordinary traffic. 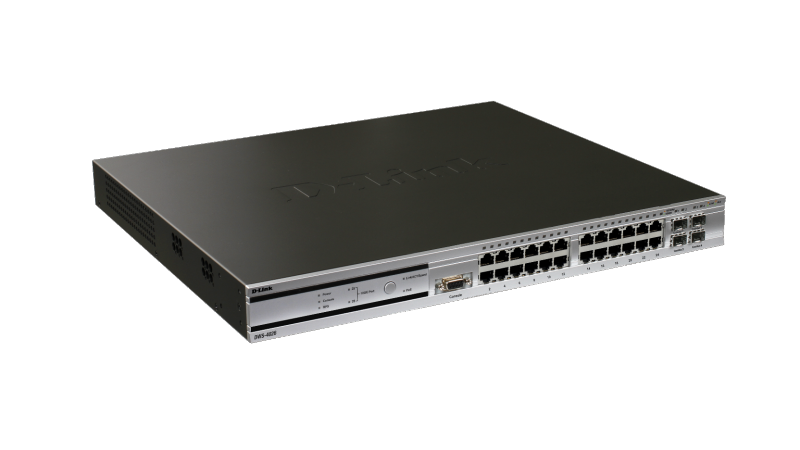 In addition to all its wireless capabilities, the DWS-4026 also excels as an advanced L2+ PoE Switch. Complete with dynamic routing using RIPv1/v2, ACL security, multi-layer QoS, VLAN support, IGMP/MLD Snooping as well as dual 10-Gigabit uplink support, the DWS-4026 truly enables network administrators to integrate their enterprise class wireless network with their wired infrastructure. Businesses contemplating upgrading their current wired or wireless network can deploy the DWS-4026 to take advantage of its dual-role flexibility. 1 To demonstrate fast roaming in a PC, a wireless NIC (Network Interface Card) needs to support the fast roaming feature. 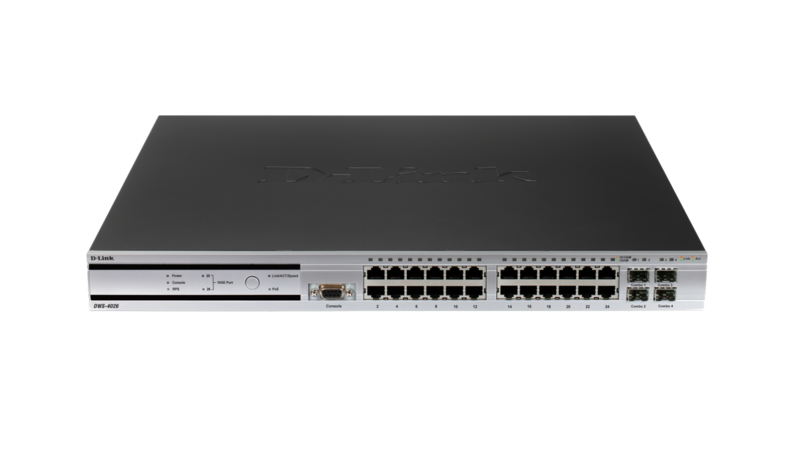 Able to manage up to 64 D-Link Unified Access Points by itself and up to 256 in a Peer Group, the DWS-4026 can be configured to act either as a Wireless Controller in the core network, and as an L2+ Gigabit PoE Switch at the edge, enabling it to be seamlessly integrated into any existing network infrastructure.